The main aim of this research is to understand how complex land markets influence spatial justice within the current urban transition in East Africa. 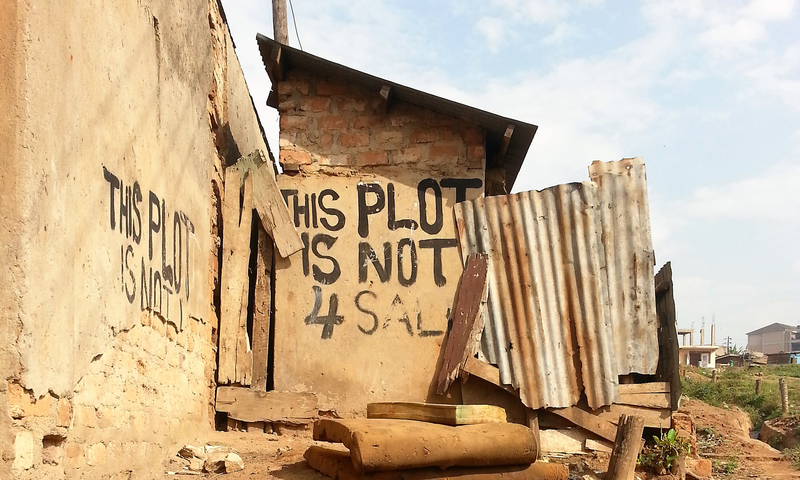 ‘Spatial Inequality in Times of Urban Transition: Complex Land Markets in Uganda and Somaliland’ is a 30-month research project funded by the East Africa Research Fund. The research project is led by The Institute for Housing and Urban Development Studies (IHS) in Rotterdam in consortium with the Bartlett Development Planning Unit and IPE Tripleline in London, the Urban Action Lab in Makerere University in Kampala, and the Institute of Research, Heritage Preservation and Development in Hargeisa. Dr. Alexander Jachnow based at IHS is the Principal Investigator and Team Leader with Dr. Colin Marx from DPU acting as Co-Principal Investigator. Land markets play a key role determining access to urban space. Emergent, uncontrolled land markets frequently promote rapid, unplanned expansion in which substantial slum areas are typified by scarcity of urban services, which in turn impacts on economic and human development. Research has focused variously on the impact of formal and informal institutions on those processes, but little research has focused on how those institutions interact and overlap. The dynamic and rapid nature of urbanization in East African cities, coupled with the paucity of planning resources, limits the value of formal institutions in steering urban change and expansion, thus highlighting the importance of a holistic understanding of both formal and informal institutions. This project views these interrelated institutional arrangements with specific reference to market transaction in urban land, as ‘complex land markets’ (CLM). The project investigates complex land markets in four East African cities across two countries – Kampala and Arua in Uganda and Hargeisa and Berbera in Somaliland. Overall, the proposed research seeks to better understand the dynamics of urbanisation in East African cities on their own terms, rather than employing the perspectives of ‘western’ urbanism. It departs from the hypothesis that negative impacts on spatial justice, which are produced by transitory institutions, can best be addressed by improving these institutions themselves. In this regard, we understand interventions into the ongoing institutionalization of CLM as the entry point for changing outcomes. The interventions that we intend to further investigate include, but are not limited to, promoting transparency of transactions, use of open data, building trust and prioritization of social functions in land-use. Although shaped by power relationships and imbalances between different actors, land markets have the potential to operate more effectively in broad public interest. Our research investigates ways in which institutions influence inequality and, more specifically, how the institution of CLM relates to spatial justice. To develop a spatial justice index as a policy tool for intra- and inter-country comparison. This research project is organised around seven related work packages (WP) that together will allow the project team to answer the project’s research questions. WP 2 – Spatial Assessment: this WP focuses on mapping historical urban development in each of the four cities at the citywide scale; and, developing a detailed urban-morphological analysis of each city. The data collected in this WPs will contribute to the selection and definition of study areas in the other Work Packages. WP led by Martyn Clark and Tony Lloyd-Jones (IPE Tripleline and University of Westminster). WP 3 – Land Market Analysis: this WP focuses on developing a thorough understanding of the land markets in each of the four cities and its surrounding (peri-urban) areas, by looking at the following components: a. institutional assessment – institutional landscape and role of key (formal and informal) institutions; b. timeline of major events – key events that may have had an impact on local land markets; c. Access to land for vulnerable groups –patterns of access by groups that are not easily visible in urban land markets. Data collection will involve secondary data collections and semi-structure interviews with key informants, such government officials, real estate agents, land brokers, customary authorities, NGOs, and neighbourhoods associations. WP led by Paul Rabe (IHS). WP4 – Household Survey: this WP focuses on providing a knowledge base of peoples’ participation in urban land markets. The survey will cover 2000 households in each city. WP led by Alexander Jachnow (IHS). WP 5 – Land Transaction Biographies: this WP focuses on deepening our understanding of the values placed on land; the implications of transactions for land holders/users; of how land transactions occur; and what people gain and lose in transaction. It will explore these by focusing on three case studies – specific land transactions – in each of the cities and conducting interviews with different individuals involved in that case study. WP led by Michael Walls (DPU). WP 7 – Comparative Analysis: in the comparative analysis stage of the research, the project team will draw on data analysed by city and country to engage in a broader analysis of urban land markets and urbanisation. In completing the comparative analysis, we will analyse the findings in relation to broader urban land market theory to identify similarities and differences, gaps, contradictions, epistemological implications and the scope for further research. WP led by Colin Marx (DPU).